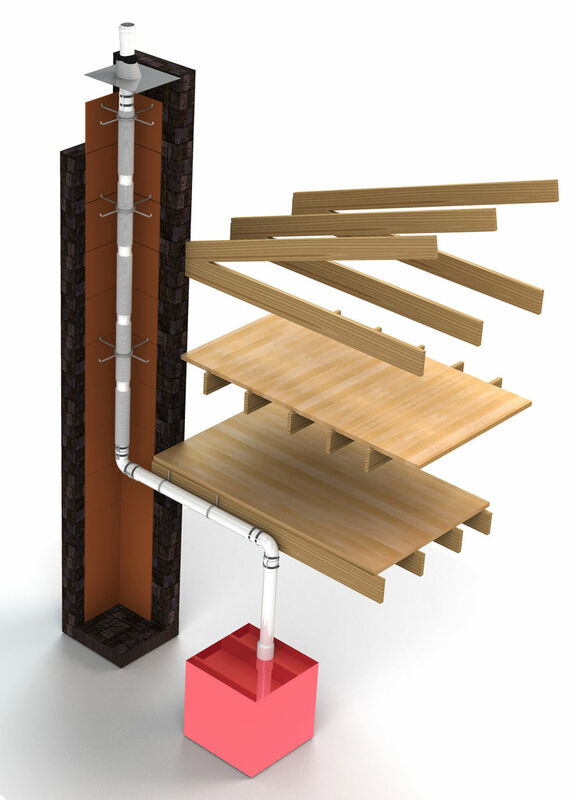 Polyflue is a simple and complete venting system providing the ultimate installation flexibility. Polyflue is made of flame retardant polypropylene (PPs), a credible and superior material for condensing gas fired heating appliances when compared to PVC/CPVC. It is a safe and economical approach to high efficiency heating appliance venting. 1. Tested & listed by UL to the complete ULC S636 test standard as a Type BH Class IIC Gas Vent with 15" w.c. positive pressure rating, for Category II & IV appliances. 2. Maximum flue gas temperatures are 230°F / 110°C (53% higher than PVC), giving extra insurance on an over-firing boiler. PVC is only safe to 150°F / 65°C, CPVC to 194°F / 90°C, regardless if they have a UL listing or not. 3. 0" clearance to combustibles. 4. 10 year limited warranty as opposed to little or nothing from PVC/CPVC manufacturers. 5. Environmentally-friendly production process unlike that of PVC/CPVC and is fully recyclable. 6. Wind tunnel testing on concentric terminations. 7. No toxic primer or cement, just soapy water & a locking band. 8. 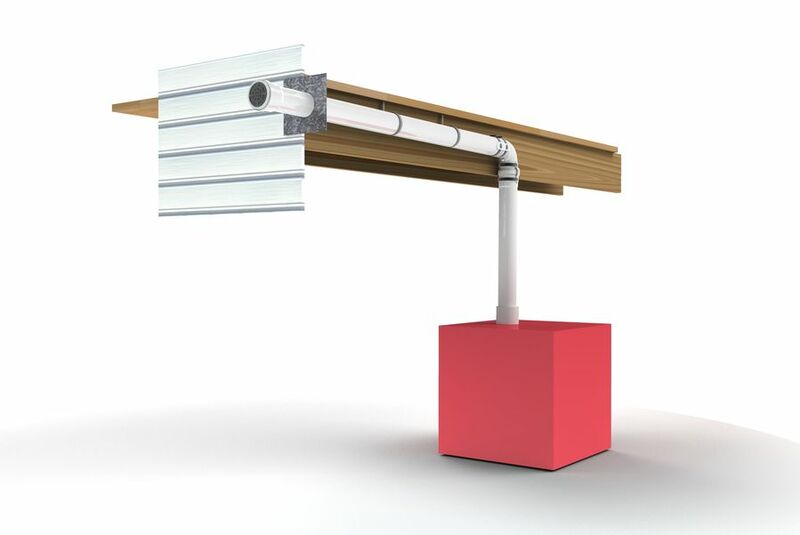 The UL required locking bands can be installed during or after the installation of the vent system, providing ultimate installation flexibility and negating the need to disassemble the pipe if accidentally overlooked by the installer. 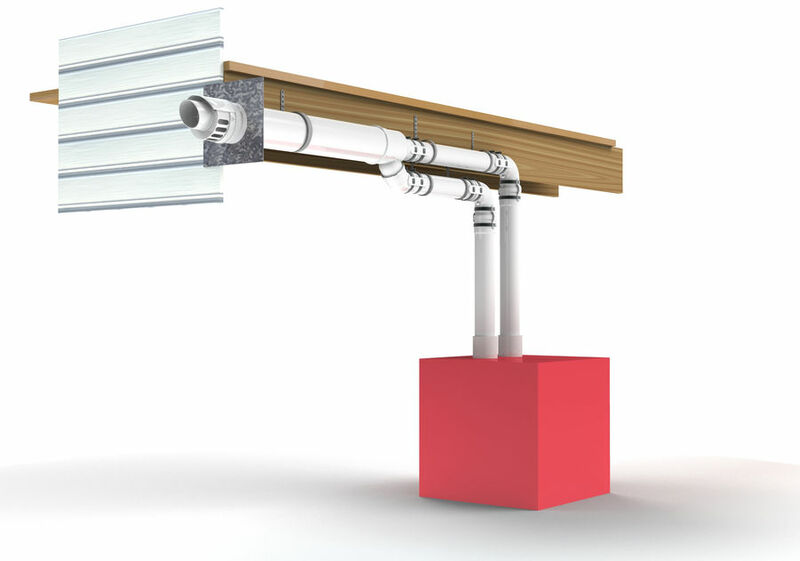 Other polypropylene manufacturers’ locking mechanisms must be installed during the installation and cannot be installed afterwards without dismantling the vent system. 9. As with any condensing system, proper condensate management is required. Polyflue requires a 3/8" per foot upward slope (2°) for horizontal systems draining back to the appliance or condensate drain section. 11. White UV rated parts for attractive exterior applications. Polyflue is your answer for an easy, economical, yet safe approach to high efficiency appliance venting.